Filmmakers: The final postmark deadline is coming up next Wednesday, December 8 for submissions to the various funds and programs offered by the Tribeca Film Institute. For a roundup, check out my previous post. A previous post summarizing the various Grants and Labs of the Sundance Institute proved popular, so here’s a similar, though more concise, look at the filmmaker support offerings of the Tribeca Film Institute. All of these programs appear to have the same deadlines: November 8 (early, reduced application fee) & December 8 (final postmark), but make sure to check out their site for updates – descriptions and information have been taken from there. For nearly 20 years, The Independent Television Service (ITVS) has supported independently-produced programming for public television broadcast, focused on high-quality, challenging and though-provoking work that serves underrepresented communities. ITVS’ Diversity Development Fund is now accepting applications through November 12. The DDF “provides up to $15,000 in research and development funding to producers of color to develop single documentary programs for public television.” Only half-hour or hour long programs are typically considered, not feature-lengths or series. Projects cannot have begun production. Filmmakers should review their website for more information about the kinds of projects that they support, but these include CITY OF BORDERS, PROJECT KASHMIR, and OUR DISAPPEARED. Chicken & Egg Pictures, a female filmmaker focused film fund and production company, is accepting applications for their Which Came First Fund through September 30. Filmmakers should review their website for more information about the kinds of projects that they support, but these include DEEP DOWN, WHAT’S ON YOUR PLATE?, LAND OF OPPORTUNITY, and GARBAGE DREAMS. Cinereach‘s Reva Goldberg offers up her introductory “Ask-An-Expert” post on Documentary Funding for IFP’s blog here. It’s brief but practical info, and definitely worth a read if you’re in the process of or beginning to think about seeking funding support for your project. 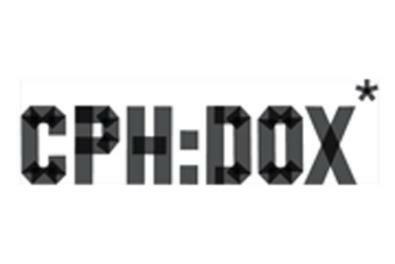 One of the Fall’s most notable European documentary events (along with the soon-to-be-in-June Sheffield Doc/Fest and IDFA), CPH:DOX has established its own unique voice (last year its jury awarded the grand prize to Harmony Korine’s TRASH HUMPERS…). Its DOX:FORUM has just been announced as relaunching as a financing forum for its next edition, November 10-12. With the aim of showcasing innovative new non-fiction works in various stages of development to international producers, commissioning agents, other financiers, and programmers, DOX:FORUM will feature meetings, seminars, and networking opportunities for 20 selected projects which should run the gamut from documentary/fiction hybrids, high end theatrical doc prospects, and low-budget, non-traditional works. While they note a natural emphasis on European and specifically Nordic filmmaking, they encourage applications from any interested filmmakers worldwide. Details on the free application process are here, with a deadline of September 1. The Fledgling Fund‘s Fall funding cycle opens today, with the initial letter of inquiry due October 1. With an annual funding budget of $1.5 million, the Fledgling Fund is one of very few funders committed to helping filmmakers working towards social change, often helping with resources to get a film completed, funding for outreach efforts, and support for non-profits related to the issues tackled by the film. Key areas of support include creative media dealing with environmental justice; girls’ empowerment and women’s leadership; health; mental health, disability, and homelessness; migration and immigration; systemic poverty; the US justice system; and war and its aftermath. Filmmakers should review their website for more information about the kinds of projects that they support, but these include, among many others, films like GASLAND, TROUBLE THE WATER, KING CORN, FREEDOM RIDERS, BUDRUS, NO IMPACT MAN, THE END OF THE LINE, THE RECRUITER, THE GREATEST SILENCE, THE END OF AMERICA, GHOSTS OF ABU GHRAIB, and THE DEVIL CAME ON HORSEBACK.